Fear. Anxiety. Seasickness. Claustrophobia. Chances are that if you’re trying scuba diving for the first time, that you’ll feel one or more of these things. Whether it’s concerns about breathing underwater or being bewildered by all the scuba gear – regulator, fins, wetsuit and even a weight harness – scuba diving can be overwhelming when you start. And that’s totally normal. Let’s face it – unless you’re born an amphibian, breathing from a tank underwater is an unnatural experience. I’m from the northeast of England – an industrial, socially radical city where beaches, warm and clear oceans, and scuba diving are completely foreign concepts. But after snorkeling and scuba diving in places like Thailand, Trinidad & Tobago, Venezuela, Ecuador and the Galapagos Islands, here are my top 10 tips for taking the plunge – no pun intended. 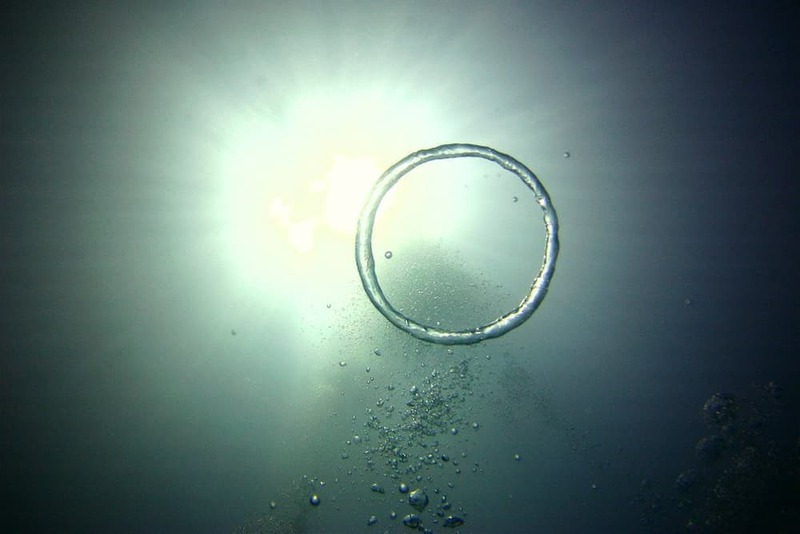 Most people don’t think about how they’re breathing each day, but when you’re underwater, you can hear your breathing and are using a respirator to do so, which can be a bit weird initially. Just take things slowly and breathe in and out at a calm pace. Rather than diving into the water from the back of a boat, see if you can get into the water by walking in from the shore, or practicing in a swimming pool. It helps to become acquainted with the scuba diving experience this way and most likely will be how you start if you’re doing an Open Water diver course. 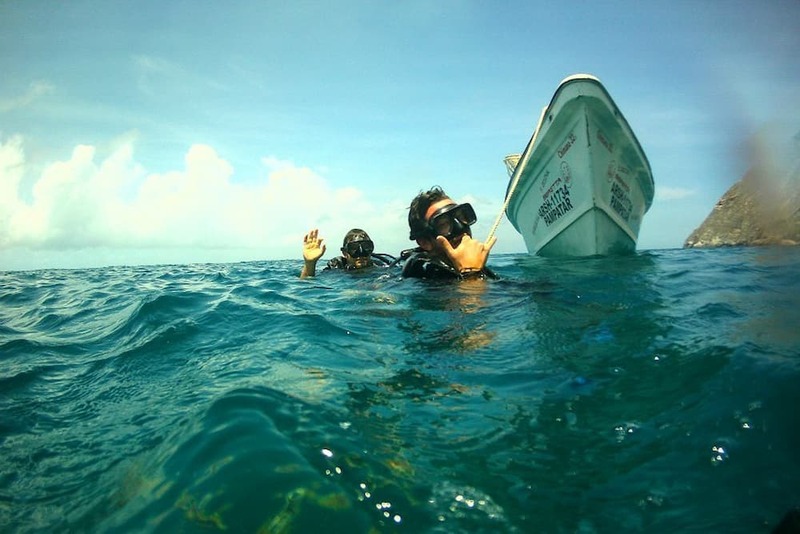 Any reputable scuba diving school will make sure that everyone has a buddy before they go diving. It’s a really important safety procedure so that groups can dive and cooperate with each other. 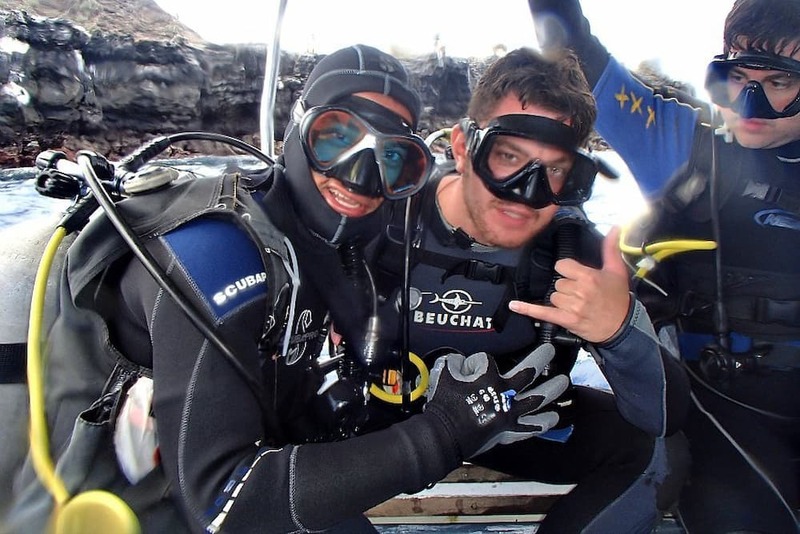 Find someone with more experience than you to be your buddy as well as the scuba instructor; diving with a group can help you feel more comfortable and also give you the opportunity to make friends with people who you can talk about your diving experiences afterward. There are a lot of common hand signals when diving because you obviously cannot talk underwater. Make sure that you are aware of the most important signals before diving – okay, not okay, up/end the dive, down, slow down, stop, and low on air. Don’t worry if you happen to forget some of these, as long as you remember the most important ones you will be fine. 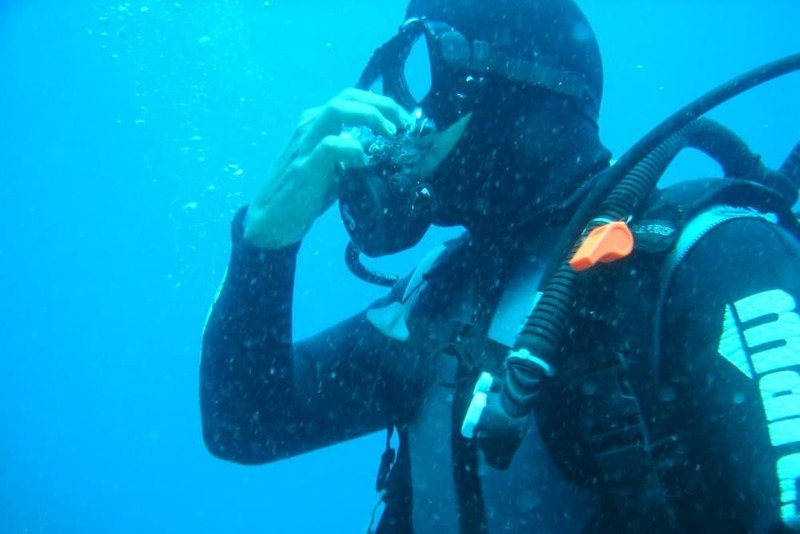 Ear woes can be a big challenge for even the most experienced scuba divers. Equalizing your ears means opening up the lower ends of your Eustachian tubes to allow air to enter the cavity of your ears, countering the pressure from the outside as you dive deeper. 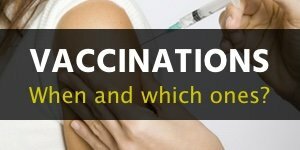 There are a number of techniques to equalize – whether it’s pinching your nose and swallowing, or pinching your nose and blowing air up through your throat. It may be tricky at first, but find the most effective technique for you. There are hundreds upon hundreds of scuba diving schools worldwide and they all offer a different experience. Ahead of your dive, make a point to visit the diving center and meet your instructor. Don’t be afraid to chat to him or her and explain your concerns. Most instructors are very helpful and it’s totally rare for them to literally want to throw you in the deep end and just deal with what’s going on around you. Scuba instructors have most likely seen your worries a thousand times. If you’re still feeling nervous, asking to prepare ahead of time in calmer waters or even private lesson may be another option. Scuba diving can be a surprisingly tiring activity. While many experienced divers look like they are swimming along effortlessly beneath the ocean surface, it can be quite exhausting – the oxygen tanks are rather heavy on land, there’s a lot of gear to contend with, and initially equalizing may take some time to get used to. 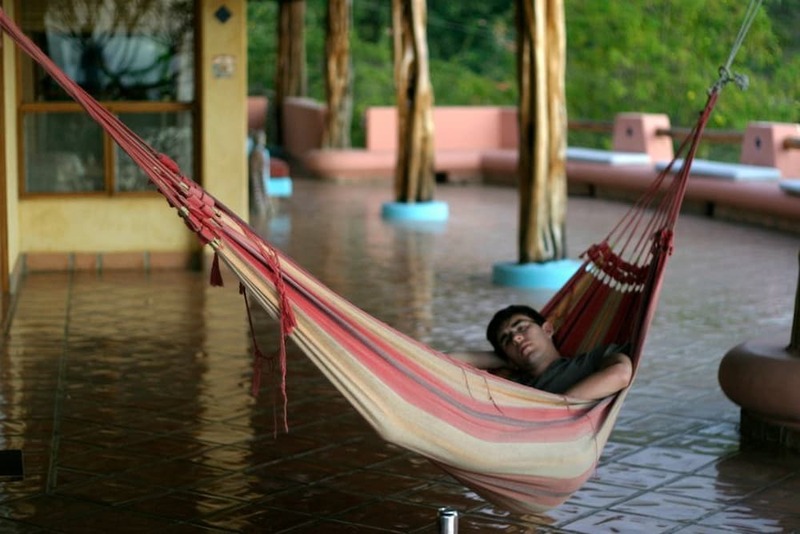 Like any physical activity, making sure you have enough rest and energy beforehand makes a big difference. Worried about life underwater wanting to gobble you up? Well have no fear; even sharks aren’t really bothered about scuba divers. You are a decent size, have protective equipment on, as well as a big metal air tank and bubbles coming out of your regulator. For your first dive, you’ll most likely be in an area well-frequented by other divers and not very far from the surface, so the chances are slim of something coming and challenging you in the water. Remember that this is something you want. 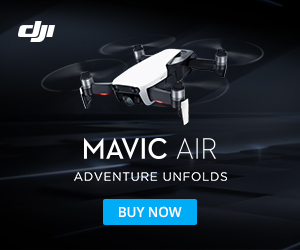 You want to be free under the water, to see the beautifully colored fish, swim over mountains of coral, move like you are flying, discover space again during night dives or get pumped at swimming with sharks! Remember this is what you can do. Everything takes time, but once you get this, it’ll be an exhilarating, addicting experience. Motivate yourself by maybe looking at pictures or watching some scuba documentaries before your dive. It will bring a sense of calmness to you, excitement and will remind you why this is such an awesome thing to do. Many believe that we do not belong so deep in the water. We are humans and we belong on the surface, so of course, it may feel foreign to you. However, treat this as an opportunity, to explore and do something different. Think yourself as an underwater adventurer, like in the movies. Scuba is a great experience, and can be an awesome hobby and cool job. Most of the people in the world will not Scuba dive in their lifetime, let alone get over their fears to try it. This is your time and your experience. Live it. If you still feel nervous, know that there are many accredited schools where you can take a range of PADI scuba diving programs to become more comfortable with the ins and outs of scuba diving. Whether it’s diving with marine life, exploring shipwrecks or enjoying the open water, scuba diving around the world is an amazing experience. 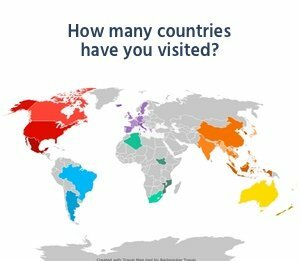 Been on the road for 3 years over South East Asia, South America and Oceania. Northern English. Travel Writer & Blogger. 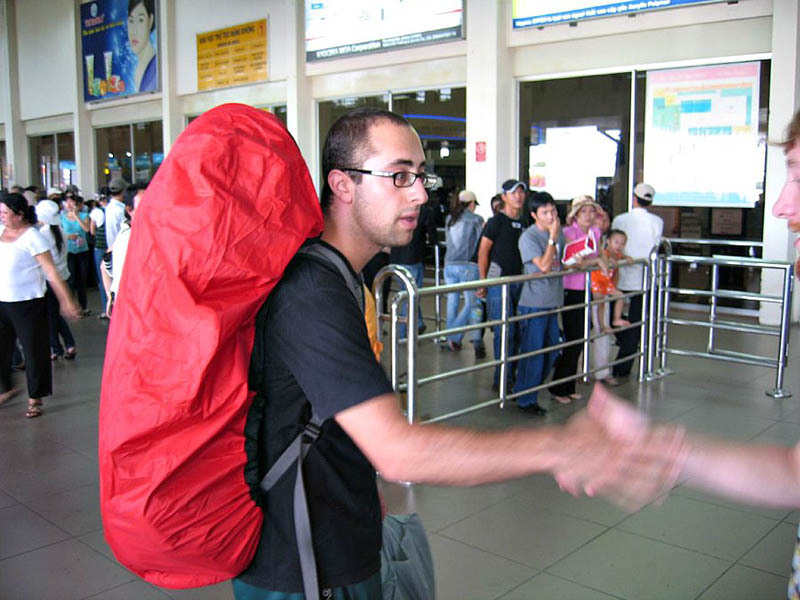 Backpacker. Social Media Enthusiast. Lover of Soccer, Scuba, Yoga and Parmos. Just far too terrifying for me!! Wonderful! Thanks for the recommendation. Did they do a special course for u? How much did you pay and how long was your course plZ? Was it a one one one? I have never contemplated diving as I am horribly afraid of water deepEr than standing depth (so that I can ‘get out quick’!) until friends of mine gave me an early christmas present today…i very nearly didn’t even get wet when it became apparent that i had to roll off the boat into deep water? I thought that I may have some form of break-down given my anxiety levels at this point. However, i did it. Completed 2 dives. If you are horribly afraid do as I did: forget worrying as “ worrying helped no man” – what will be will be. Concentrate instead on The very moment you’re in – If you are able to breathe you are very much alive. If you are alive you are doing this scary thing anD surviving it. Concentrate on your breathing as nothing else is more important. Do that and your brain is so consumed wiTh breathing that it Doesn’t have time to panic. I did it and i can’t imagine anyone as afraid as I.
P.s. sOrry for Capitals but my keyboard iSn’t allowing lower casE letters This site…odd but true. I want to do that. .
Hey Mary the best piece of advice I can give you is to keep searching for the right instructor. It makes all the difference when your instructor can keep you calm, especially during any complications. You need to build your confidence from the very start. Good luck! 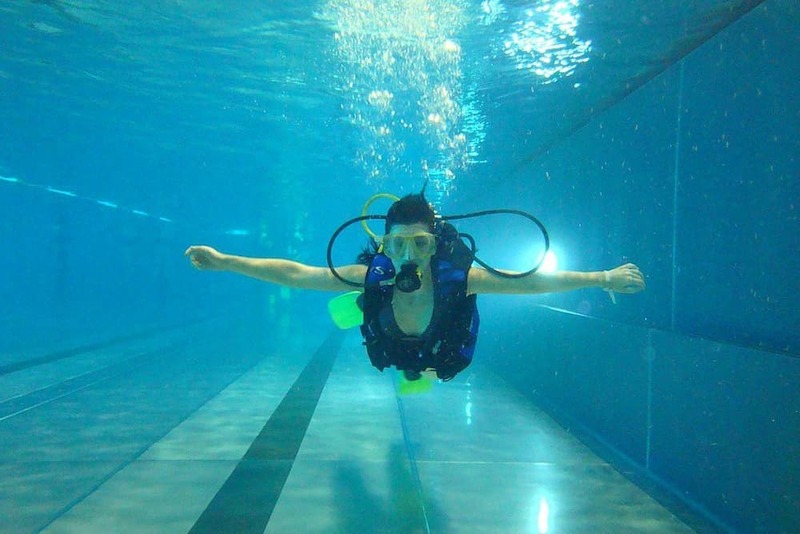 You don’t even know how much this has helped… I just started a diving course at my college and I was terrified today… After reading this article I felt a lot better. It went absolutely amazing! I’ll be diving all semester, plus I will go up a level next semester! Thank you! Great tips! I’ve always wanted to go scuba diving one day but too worried about not being able to breath. Makes me anxious even thinking about it. Do you think it is still possible for someone like me with a deep fear like this? Hey David I thought I’d chime in here since I am very much like you. I am totally claustrophobic and the only way I have been able to dive is when I have a VERY experienced diver as my buddy and I don’t stay on the surface too long. The sooner I get under the water calmly, the better it is. Once under the water, I get sensory overload with all the fish and coral etc. If I have someone there to hold my attention while I am going down I am usually fine. Good luck and let me know if you conquer those fears!